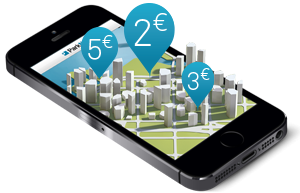 With ParkNow you are ready for the future of parking. Not only will you cut costs on an operational level but we will help you deliver the enhanced parking experience both you and your customers deserve! Following the announcement on January 1st, 2018 of the MAPTAM law, your ParkNow application has evolved to become 100% compliant with this new regulation ! If your perfect parking spot is on street simply buy and extend parking time real-time. Or find your car park of choice and simply enter and exit the car park. Either way, make sure your vehicle details are correct, as this is how we recognise you have paid. Help your motorists experience an impressive, better and more convenient way to park. 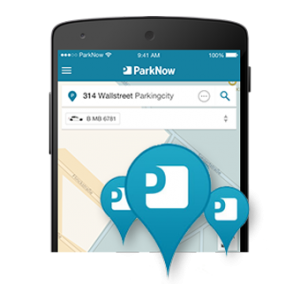 Finding and booking a parking spot is so much simpler with the revolutionising ParkNow App. It not only makes your visitors happy, but also helps you as a council to cut the costs of collecting and processing cash, not to mention reducing machine maintenance, upgrades and repairs. A revolutionary, real-time and innovative parking system. 100% secure, reliable and proven. Mr. Patrick Pirodon, FNMS President about ParkNow. “The heart of tomorrow’s car will not be its engine anymore, but its communication system. ParkNow totally understands this by integrating directly into the vehicle their cashless payment and reservation system for on-street and off-street parking. I was really impressed by the in-car demonstration made on their Parkopolis stand!”.